I like the jacket by itself, the leggings are OK and I know they are big in fashion right now. However, I must say that I HATE those shoes (Louboutin’s or not, I don’t like them) and that shirt makes her look about 30 pounds heavier than what she really is. However, this could just be me. 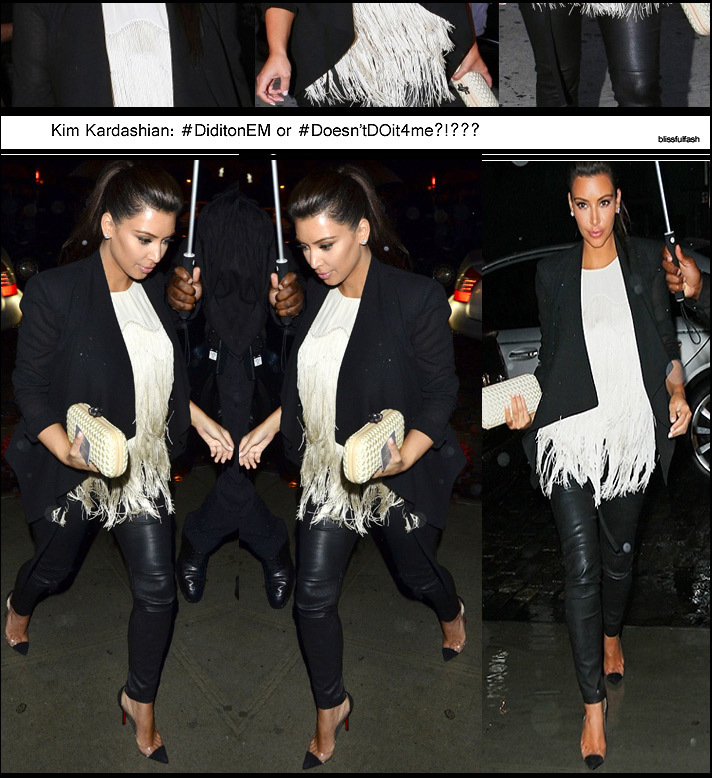 I would love to know what you guys think of Kim Kardashian’s New York City outfit. Did she do it right or should she have chosen another outfit for the night? Is this too much or is it just me! ?